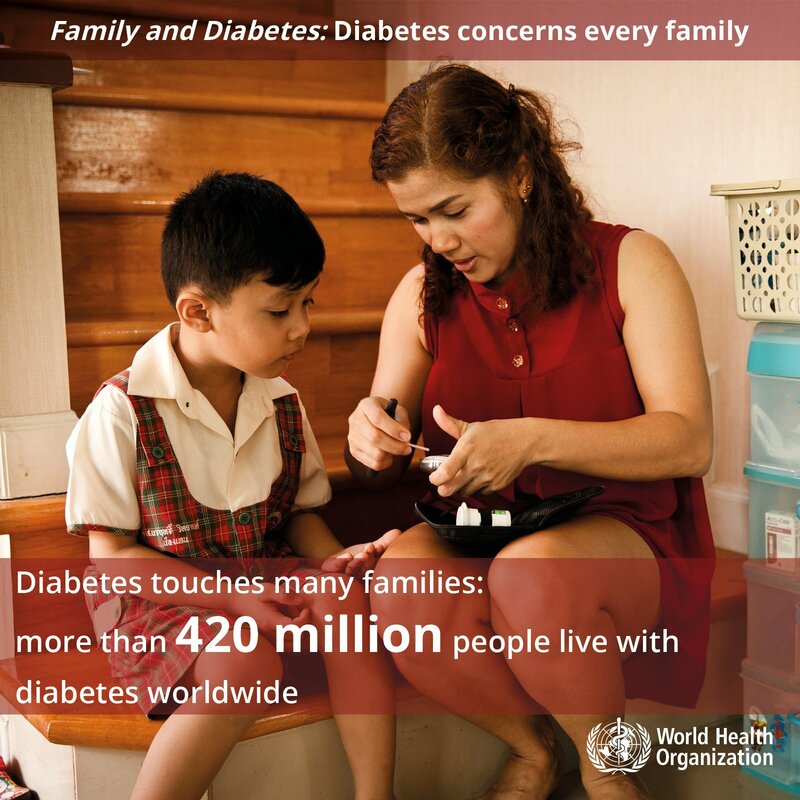 More than 420 million people live with diabetes worldwide – and this is a fact! Did you know that 1-in-2 people living with Diabetes are undisclosed and 80% of cases of type 2 Diabetes is preventable through the adoption of a healthy lifestyle? I remember receiving the news of my uncle’s diabetes state and the fact a part of his leg had to be amputated because of an injury he had. I couldn’t bring myself to comprehend it. Since that year, it’s been a constant Blood Sugar level check up…. Today is #WorldDiabetesDay, led by the International Diabetes Federation, is uniting the global diabetes community to produce a powerful voice for diabetes awareness and advocacy. The campaign aims to reflect the realities of dealing with a chronic condition. WHO aims to stimulate and support the adoption of effective measures for the surveillance, prevention and control of Diabetes and its complications, particularly in low and middle-income countries. Organize an Event – To show support for peole with Diabetes, you can organize a community event and reach out to people. You can host health talks, fundraising events, hospital visitations, sensitization seminars, physical activity event like cycling, etc. Have a Yummy Blue Meal – You can use today to start a healthy meal plan and share to your friends and family the importance of leaving out the excess sugars in meals, as well as having a balanced diet for the prevention of diabetes. This simple act makes all the difference. Advocacy & Campaign – We can never underestimate the power of the digital world, which is why you can stay at the comfort of your home, offices, and push out positive content online to show support for people with Diabetes and speak up on prevention measures. You can share information about this campaign to raise awareness to all your friends or followers. One single share can get the attention of others, and ignorance will be wiped out. Wear Blue Shirts – Oops! Is this coming late? Oh well, you can wear blue shirts today, and every other day this week to show support for this cause. Selfie Time! – Oh yes, take a blue selfie today, and promote more awareness around Diabetes. Don’t forget to allow your friends photo-bomb your picture….it’s for a good cause!